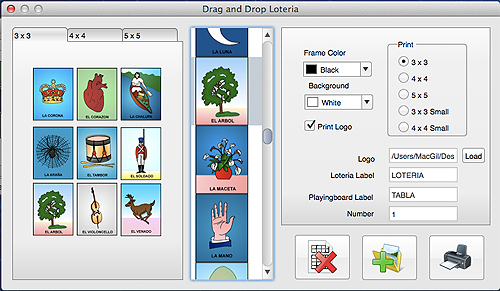 Loteria Workshop Plus now includes Loteria Workshop For Mac. 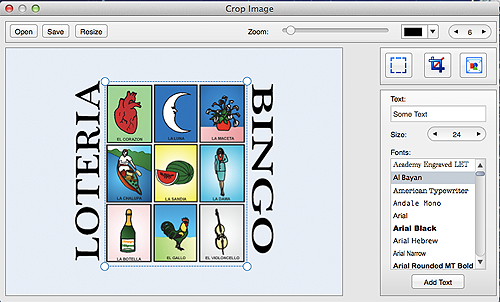 The Mac version has the following utilities: Loteria Generator, Custom Drag and Drop Loteria, Bingo Cartd Generator, Image Converter and the Crop tool to make Loteria cards from existing Pictures. Loteria Workshop for Mac does not generate Tickets, Quinielas or Loteria De Pozo.